“A PAINTING that speaks a thousands words” is the resounding response to the powerful artwork created by an Omagh woman, following the tragedy at the Greenvale Hotel on St Patrick’s night. 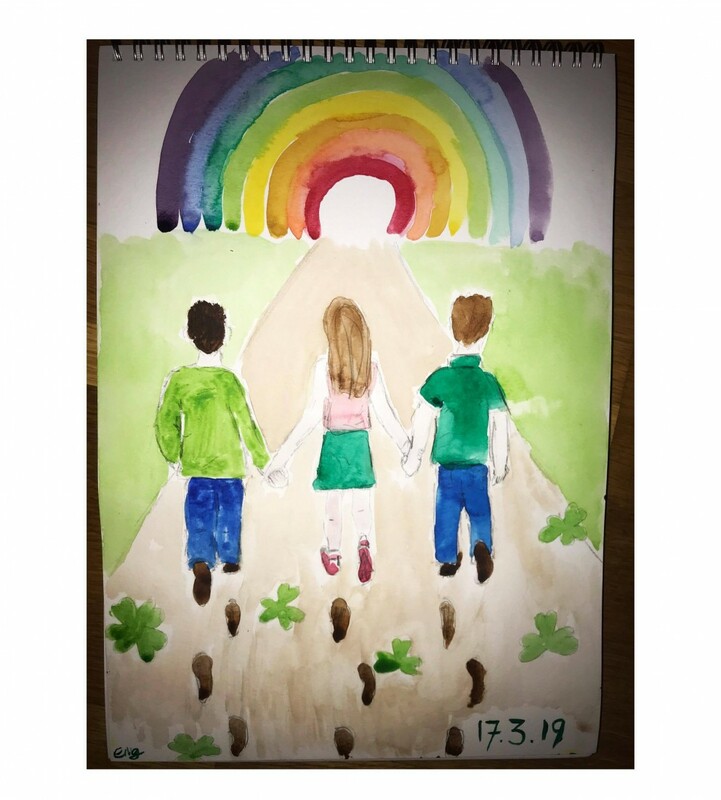 The poignant painting by Emma McGowan who is originally from Omagh but currently living in London, depicts the three young teenagers who sadly lost their lives in the terrible crushing incident, walking hand in hand towards a rainbow. Posting the picture online, Emma wrote, “I am by no means an artist, but while doing some painting this evening, my mind cannot shift from the tragedy that happened in Cookstown. The painting has been shared over hundreds of times by those offering their condolences to the families and has been used by many outlets offering counselling advice to those affected by the terrible events in Cookstown. “The response has been overwhelming, the painting has touched so many broken hearts,” explained Emma.